We didn't head for Bordeaux in search of bookstores and we definitely didn't expect to find one like this. La Mauvaise Réputation is a bookstore unlike any other in our Guide so far, the only rated R bookstore to be precise, and we wouldn't be surprised at all if it stayed like that for some time to come. La Mauvaise Réputation translates as The Bad Reputation, and there's also an old French folk song which goes by the same name and which may have inspired the owners. As George Brassens sings with his unique style in his track from 1953 "No, the good folks don't like it when you follow a different path than them" (Non les brav's gens n'aiment pas que l'on suive une autre route qu'eux...) and that's exactly what the owners of this bookstore have decided to do. And we're quite sure that their reputation and what the good folks think of them are one of the last things on their minds. To explain, this bookstore specializes in everything which can be filed under the category weird, alternative or even obscene: its stock contains books on all imaginable forms of body art (tattoos, piercings, and a few more you didn't even know existed), modern and postmodern art, street art, eroticism (novels, photobooks, and even comic books), gay and lesbian issues, literature noir, an interesting selection of graphic novels, books on graphic design and less promoted forms of visual arts in general, fiction from the romans noir category and lots of other stuff. Another impressive factor about the stock of this bookstore is its origin - rare titles imported from the United States, Japan or Great Britain, mostly issued by small publishing houses. 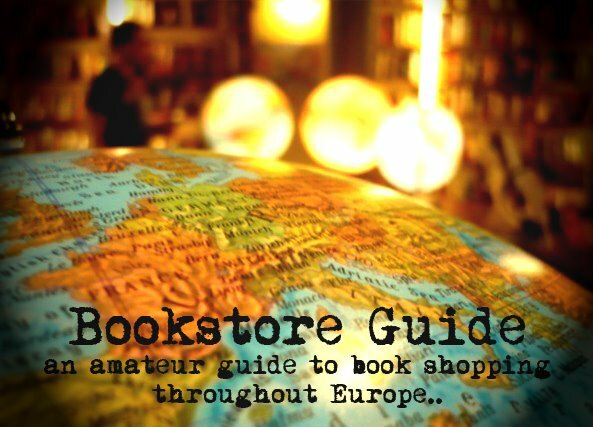 And most importantly for our Guide, this considerable part of the bookstore's offer is in English.